Situated on 26 beautifully landscaped and wooded acres adjacent to Memorial Park, the Houston Polo Club was founded in 1928 and remains dedicated to the sport of polo and equestrian activities. Scroll down for a list of upcoming matches and events. The club also operates a very successful polo school, which offers an eight-week program in the spring and in the fall, two-hour polo clinics for beginners and for advanced players, and private lessons. Click here to learn more about polo instruction programs. 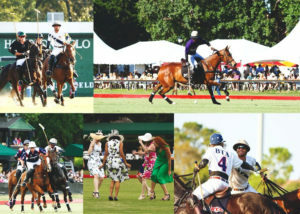 Houston Polo Club is a 365 Houston Calendar Member, providing support for our publication and enabling us to continue highlighting great things to do around Houston every day of the year.